In a nutshell: Catalyst is a data-driven, machine-based investing application built on the Enigma platform, destined for automated crypto-assets trading. I have a name for trading in cryptocurrencies: it’s rollercoaster trading. I mean, we all have been there somehow. Investing in a popular coin with high hopes and dreams, only to embark on the exciting journey of rewards and regrets. With bulls, bears, and whales standing their ground, one thing stands clear: the burgeoning crypto-market is still as volatile as they come. And every time we win a deal, someone somewhere is biting their nails over losing it. But, what if algorithms and machines weigh in to guide us through? What if there is a platform out there that leverages historical data and hard-learned lessons into automatically executed trading strategies? That’s the idea behind a project called Enigma Catalyst. Let’s dig deeper into this world full of promises and potential. Simply put, Enigma is decentralized protocol designed to solve the Blockchain’s scalable privacy flaws. And Catalyst is the platform or the decentralized app (DAPP) that enables traders to build programmatic trading strategies. Think of it as a decentralized Bloomberg for crypto-assets running on Enigma. 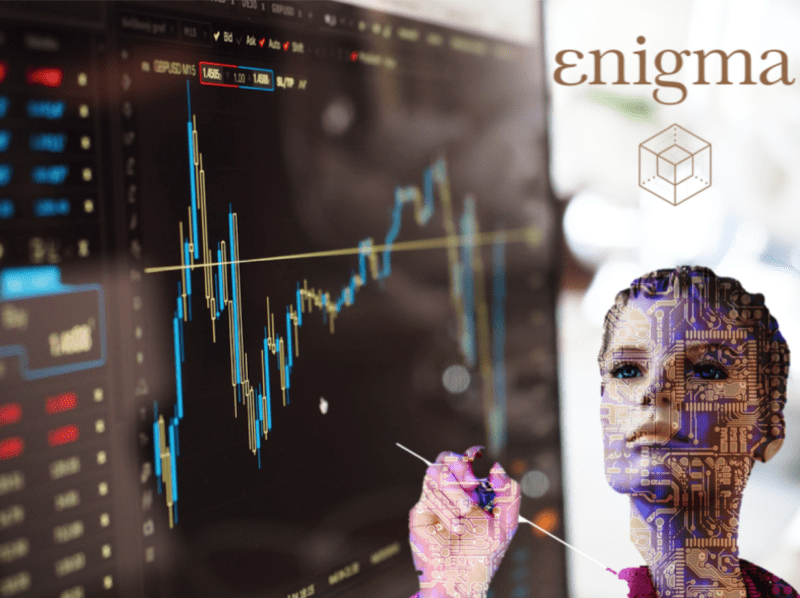 While Enigma aims to be a globally recognized data marketplace, Catalyst is the application that enables traders to implement their strategies and meet their investment goals. For that, it harnesses the capabilities of decentralized quality-data curators and algorithmic trading. Hence, the Enigma ecosystem encompasses cryptocurrency investors, traders and data curators. So, Enigma allows traders to create their own hedge funds on Catalyst. And crypto-investors will pump in liquidity into the most profitable and successful hedge funds on the platform. The decentralized data marketplace is revolutionary by design: no authority beyond the stakeholders. And no trading on quality data. Enough to make Thomson Reuters obsolete, isn’t it? Despite its significant role in our economy, data remains consolidated in the hands of a few large organizations. For anyone but those entities, it is not fungible or tradeable. […]We’ve set a single goal to break down data silos and enable data sharing. We believe that to achieve this goal, a single, open-source protocol for a decentralized data marketplace needs to exist. So instead of sitting there, refreshing the candlestick chart, trying your best not to FOMO, you can create trading robots to meet your targets based on accurate data. That’s right, who needs Yoddle when you can set up your own hedge fund! The possibility of backtesting every trading strategy on relevant historical data to ensure its viability prior to implementation. Cross-Chain Atomic Swaps, for instant, trustless exchange of crypto-assets between any number of off-chain payment networks. Instant Settlements of off-chain payments for a high trading velocity and an optimized market liquidity. The team has put forth two whitepapers, for Enigma and Catalyst. The authors presented flawless documents that stand heads and shoulders above most ICOs that I’ve had the chance to review. In fact, it instantly brings to mind the clarity and style of the notorious Satoshi Nakamoto’s whitepaper. And the reader gets the sense that these people are on to something big. Both documents (14, and eight pages), which are available for download on the website, paved the way towards a very successful ICO. Or was it? Then comes the ICO, on September 11, 2017, with a shocking surprise. US$500,000 worth of Ether has vanished following a security compromise. The perpetrators were able to take control of the project’s website domain and solicited tokens for a “pre-sale” ICO. 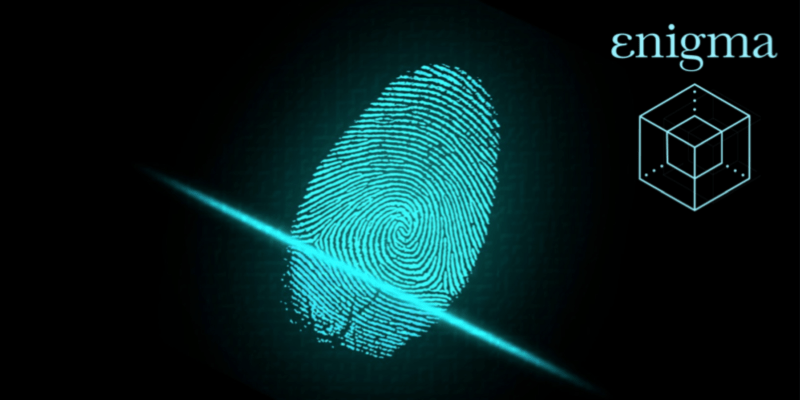 While the incident pinpointed severe security flaws, it also raised all team members to praise, with their quick reaction, and continuous communication. It’s worth mentioning that Enigma refunded every contributor who fell victim to the scam and resumed the ICO to a hard cap of US$45 Million. As of present time, the token is primarily traded on Binance and Bittrex (to name a few), at us$1.28, with a market cap of US$95 Million. A highly skilled and promising team stands behind the project, and enjoy the back-up of industry elites, and VC funds. The core executive team consists of MIT graduates Guy Zyskind (Co-Founder and CEO), Can Kisagun (Co-Founder and CPO) and Tor Bair (Growth and Marketing). The tremendous advisory board lists professor Alex Pentland (board member at Google and Telefonica) and Justin Lent (former director of hedge fund development at Quantopian), among others. While the company does have competitors (Melonport and ICONOMI), it has unique investors like Floodgate, Flybridge Capital Partners, Converge, Digital Currency Group, and of course MIT. It’s rare to spot a project that puts forth a product prototype for its prospective investors before the ICO. And when that happens, it sends off a rather bright message. Enigma’s team is doing a great job by keeping everyone updated regarding the project. They recently announced partnerships (the most recent ones being Aion, InvestFeed and Tokendata) and provided a fantastic view of their distributed marketplace on their blog. For those of us who need to run a test and see for ourselves, Enigma just announced the complete release of Catalyst 4.0. Time to write some code, and backtest some gains! I have always been fascinated by Stock Exchange traders. I mean, all the excitement, the adrenaline, the shouting and lust for risk and reward. Unfortunately, white-collars are not praised for being the fairest among us. And most people have been longing for an inclusive financial system, the one that the Blockchain brings about to all of us. With a skilled team, and a robust web of partners and investors, the future of Enigma looks rather bright. So let the bulls and bears lock horns over their reward, for the future of crypto trading shall be that of algorithms. And the future of data relies on its decentralization. It looks like things are just getting started.